Familles of Neuchâtel or of the Bishopric ? Around 1850, some members of the Bonjour family from Lignières, NE, emigrated to the United States. They settled in the county of Nemaha, founded a canton and, when the time was ready to open a post office, named Neuchâtel, in memory of their homeland. The information on this family came mainly from documents found in the State Archives of Neuchâtel, as well as living descendants of this branch in the United States. 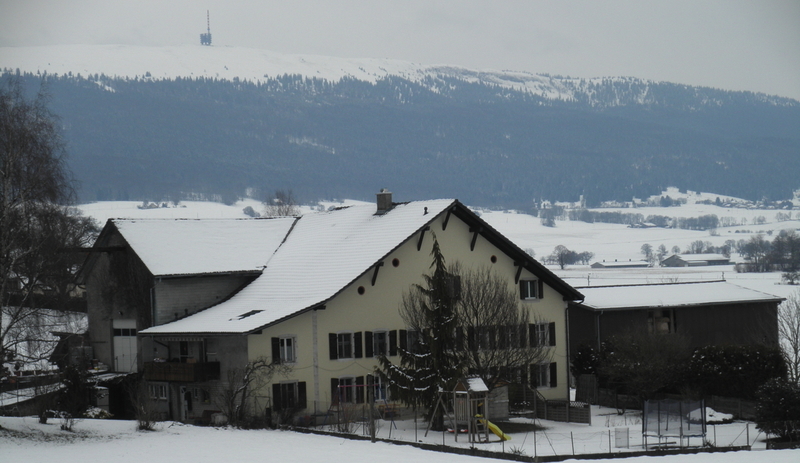 In 1878, the township of Neuchâtel had 392 inhabitants, 117 less than in the 2000 census! Who lives where in Neuchatel, KS : see this map (2006). As of 1876, a member of our family, Paul Aimé Junod (1846-1918) joined this community His departure was delayed by the sudden death of his first wife, Hortense Victoire Samson. 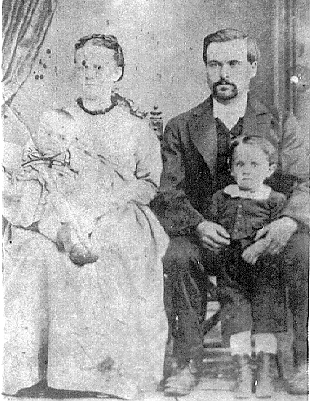 First Emigrated in 1876, he came back to Switzerland, married Sophie Bertha Bonjour (1850-1930) and together came to settle in Neuchatel, KS in 1877 with his three sons, from Paul Aimé's first marriage. On this second voyage, he was accompanied by cousins Alexandre Junod (1843-1923), Alfred, Aimé and Zélim Bonjour. Aimé (Paul-Aimé's father) had 4 daughters of a first marriage. One of them, Louise Aimée (1822-1877) married Ferdinand Auguste Bonjour (1823-1863) and one of their children was Zélim Auguste (1848-1913) who also settled in Neuchatel, KS. Paul Aimé first lived a year in the house that was to become the one of Charles Bonjour, before buying the one that would later be the house of Zélim Bonjour. First business : General store, 1867, A. Bonjour & Co.
For more on this... select this link ! Visiting our distant cousins... Thank You ! I visited Neuchatel & Onaga in 1995, 1997, 2003 and in July, 2010. The March 2003 trip gave me the opportunity to spend a day and a half in Des Moines, Iowa, where a branch of the Neuchatel Kansas Junod family settled back in 1947. Great time visiting with wonderful people: warmest thanks to Michelle, Stan, Steven, Sharon, Suzy and families for the hospitality and the nice moments together. During the 2010 visit, I took the opportunity to drop-by Leeton, MO, home of descendants of the Descombes and Gauchat families from Lignières who settled in the area around 1820, respectively 1870. 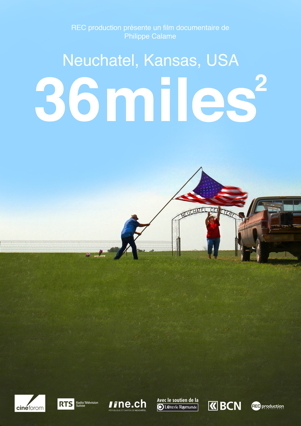 Leeton is approximately 4 hours drive South-East of Neuchatel, KS. Many thanks to Bob Wyatt for his hospitality, Junior Gauchat, Larry Descombes and their families for their warm welcome. 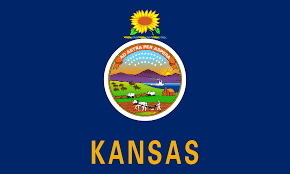 There was once a town in Kansas named ... Neuchatel ! A fascinating documentary, at once tender and offbeat, on "very distant cousins". Read here (in French) the full page article on page 3 (!) by Mrs C. Favre, published December 12th, 2014 in the local main newspapers L'Express and L'Impartial for the launch of the film. The film was screened in several Swiss-French cinemas as well as on the Swiss TV (TSR) on December 11, 2016. A public screening was held on January 25, 2018 in Onaga, KS and broadcasted on the worldwide TV5 channel at the end of the summer 2018. Here a short 1'39" trailer of the film ! Pottawatomie Co. Economic Dev. Corp.